My toddler’s first molars just broke through her gums, and I feel like celebrating. 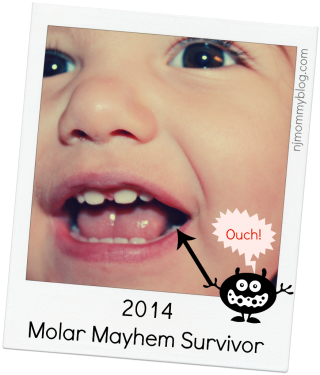 The last three months were filled with molar mayhem! Here are the 5 major signs and symptoms my toddler experienced as she prepared to get her first molars. Posted in Babies, Baby Milestones, Mommy Tips, Parenting Hell. Tagged cold symptoms, drool, food refusal, molars, tantrums, teething.